Former Pakistan captain Wasim Akram feels since it might be difficult for the selectors to ask a player of Sachin Tendulkar's stature to retire, the senior batsman should himself take a call on his international career. Stating that the pressure on Tendulkar has increased after India's two back-to-back defeats in four-Test series against England, Akram said, "When your most experienced batsman hasn't scored a Test century in almost two years, questions are bound to rise. "It finally boils down to your own assessment as (Australia's Ricky) Ponting did. "The question is who will bell the cat? Who will pop the question? Today, former cricketers are openly asking for Dhoni's head. Can you do the same with a Tendulkar? A lot of people, like Sourav Ganguly, feel he should retire, but Sachin himself might still want to continue for another six months or so. 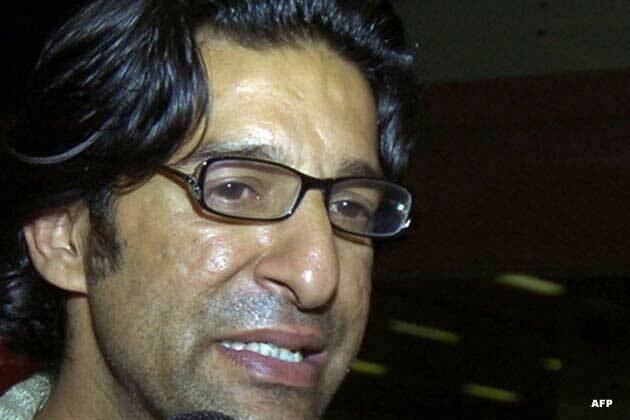 It's difficult to give any advice to a legend like Sachin," Akram told espnstar.com. The former pacer also said that a definite answer on Tendulkar's future plans would give the national selectors a chance to find a suitable replacement. "The changes have to be made carefully. One shouldn't tamper too much with the team line-up. But the middle order needs a few new faces. And somebody needs to ask Sachin on what is his future plan and for how long does he want to continue.